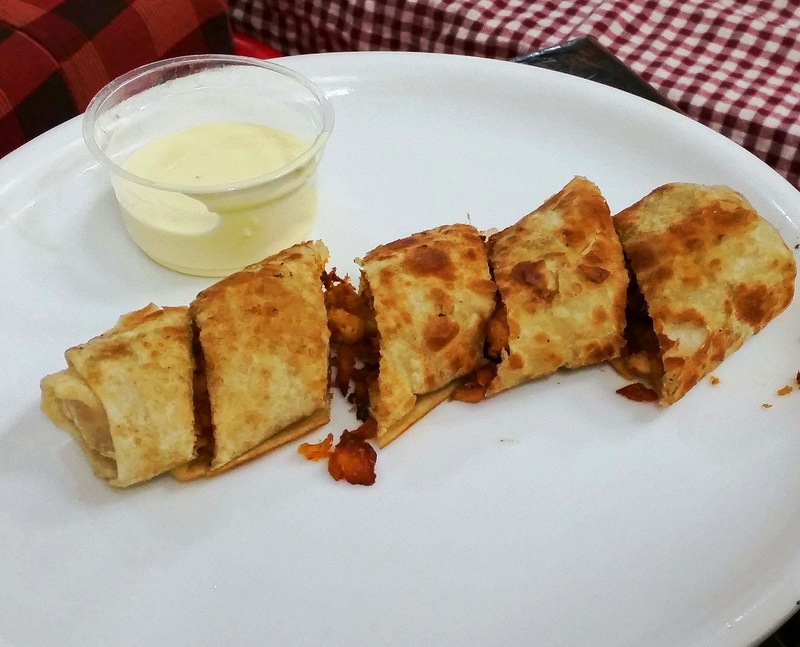 Spice 6, a restaurant which has opened at Banjara Hills offers the Arabic delicacies in a family friendly environment. 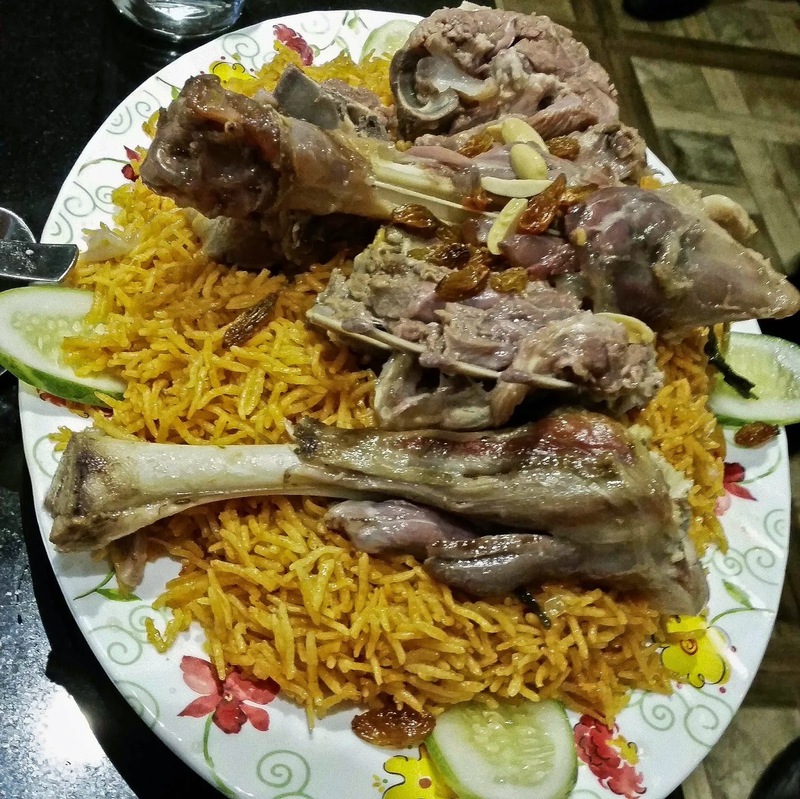 The flavorful Arabic dish, rice based Kabsa Laham is topped with delicious and soft mutton (cooked just right and falling off the bones) and the aroma of the spices used almost precedes the dish as it is brought to the table. The tomato based dip served along with it is simply delicious. The grilled meat served by the restaurant is also highly recommended. 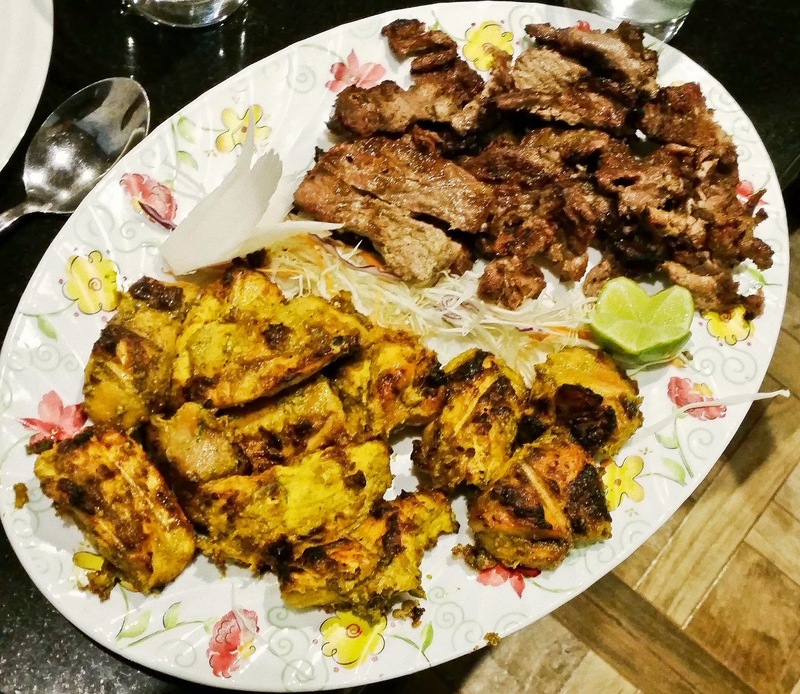 The Grilled Mutton is low on oil and it had the best quality tender meat, flavorful with herbs and spices. It goes famously with the garlic dip served with it. The Chicken Kabab with green chutney is also not much behind in terms of taste. 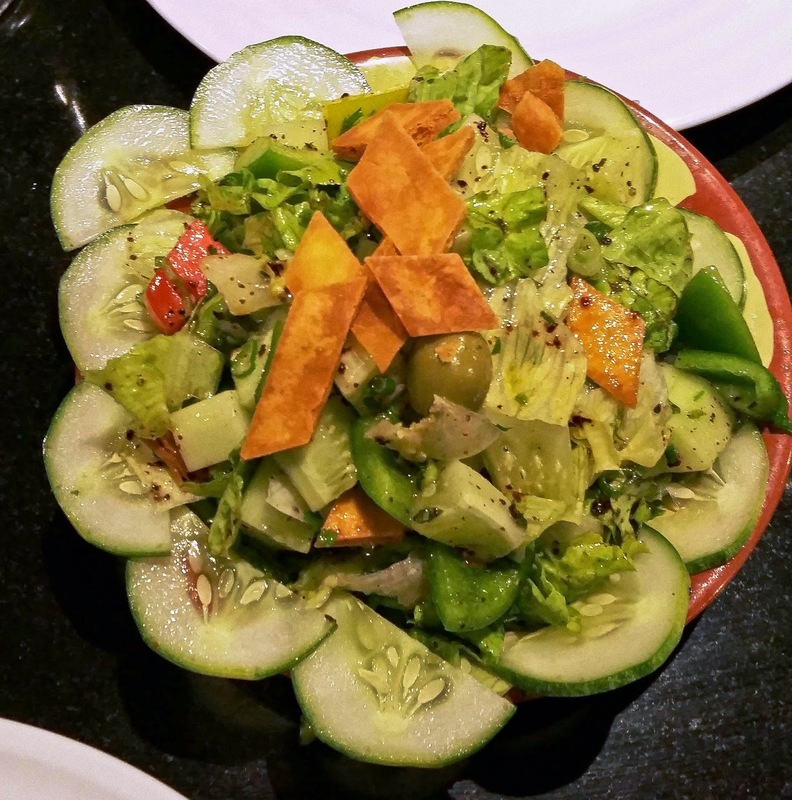 The vegetarian salad Fattoush with pieces of toasted pita bread. The chick pea based Hummus is savoured with the soft pita breads served with it. 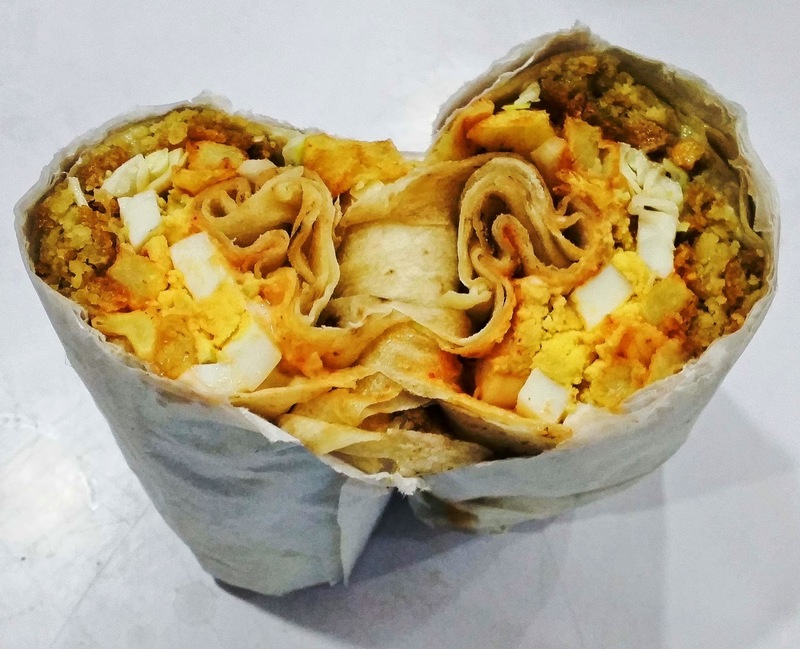 And finally, the Shawarma available here is easily one of the best in Hyderabad. 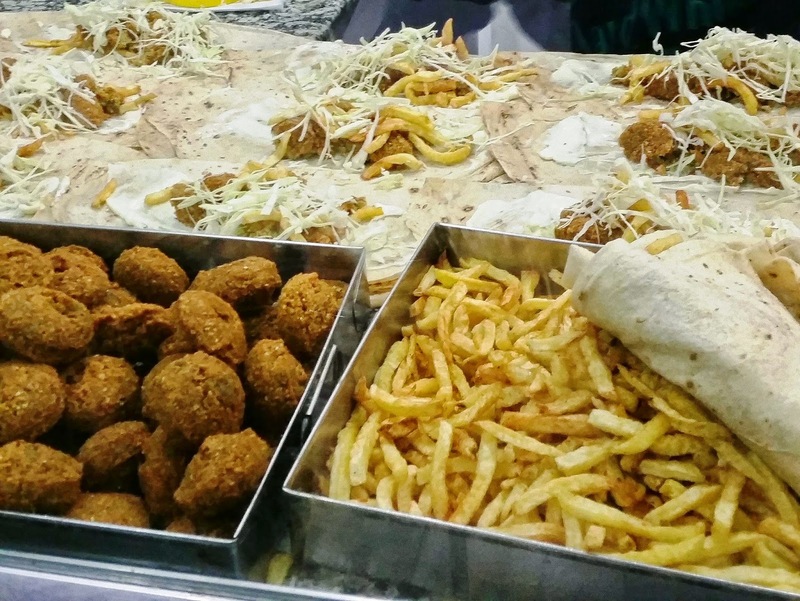 Tucked in a lane off Langar House Road, Marhaba is known for its delicious Arabic snack items as well as Mandi and Khabsa. 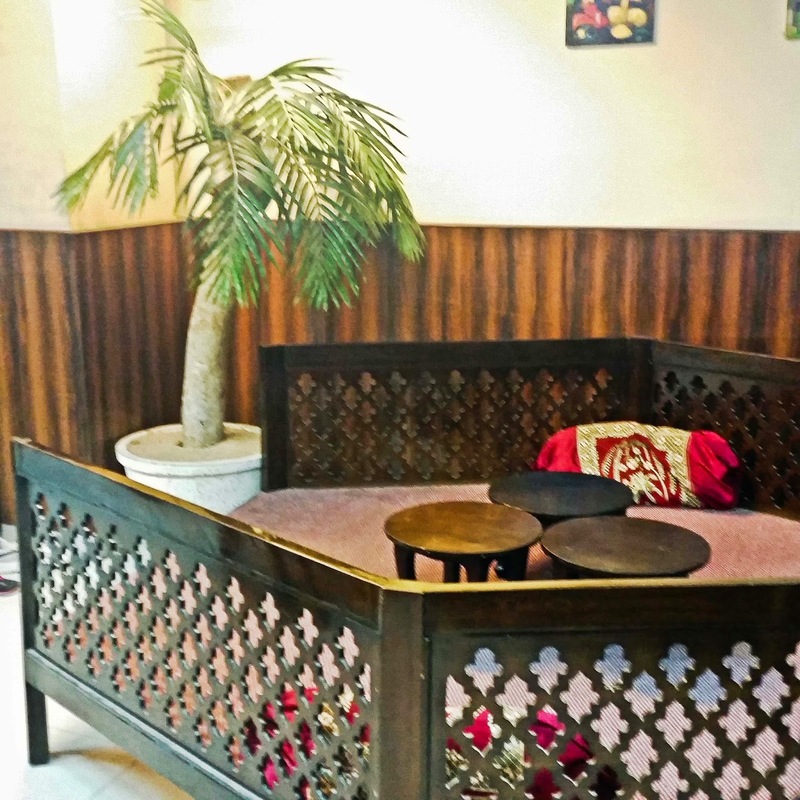 A traditional Arabic style floor seating is available here as you find in various places of Barkas. The live counter in front of the hotel is busy making Arabic Shawarma, a fried version of shawarma with chicken inside. The garlic chutney served with the Arabic Shawarma is also so great that it can just be had standalone too. They also have the normal shawarma with pita bread or roomali. Muttabaq is another delicious dish available here. 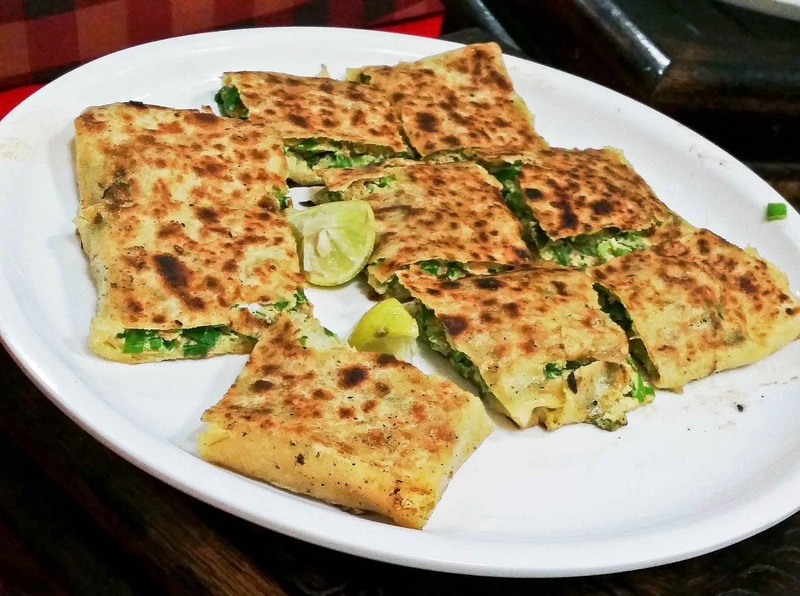 It is essentially a filling of egg, chicken and veggies folded in a square shaped paratha and pan fried. I found it very similar to Moglai Parota of Bengal. The filling is quite rich and thick and it can be a meal in itself. 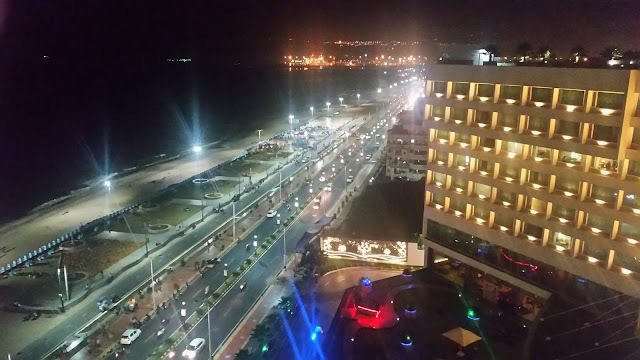 The place is also known for the Kabsa and Mandi available here. This is on another bylane in Tolichowki just ahead of Shah Ghouse. This looked much more family friendly than the other places. They too have an option of traditional seating with recliner pillows and tripods on which food is served. 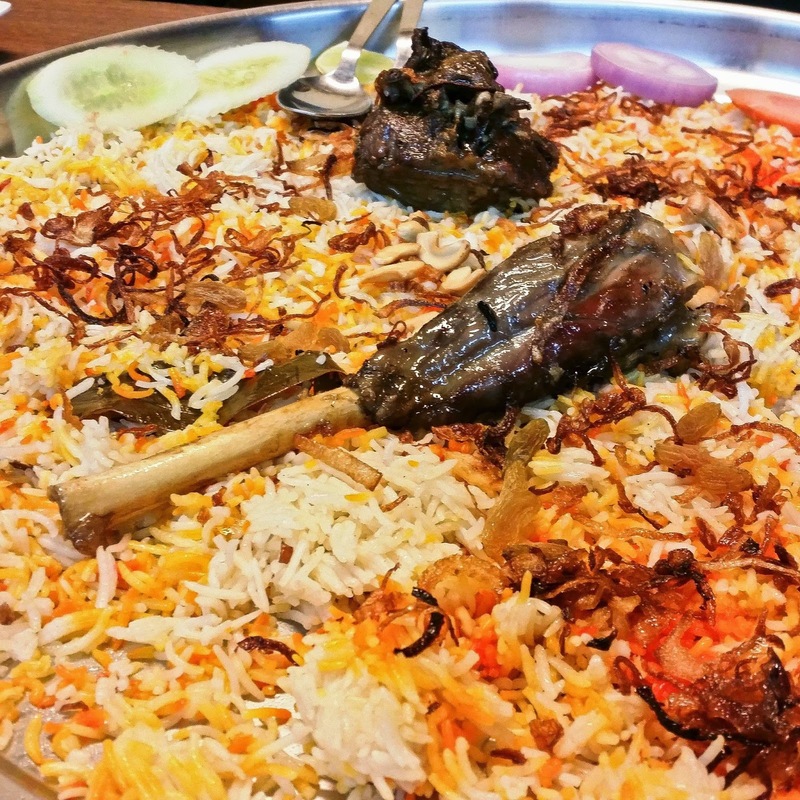 This place is known for its Mandi, another Arabic rice based dish available with chicken, mutton or fish as options. The Mandi is flavorful with abundant fried onions and raisins. It is served with a red and green chutney. The mutton in the mandi is soft and smokey. The food is not spicy but very aromatic. The seekh kababs here are also quite delicious. A small café , they are known for their Arabic sandwiches. The Arabic sandwiches are made in front of you with roomali rotis or pitas, veggies, eggs, abundant meat, and French fries. For people off meat, the Sabbah Sandwich with boiled eggs and falafel is a must try. The other variants which can be tried are Egg and Sausage Sandwich and Chicken Sandwich. It is a treat to stand near the counter and see the sandwiches being assembled. However, apart from these there are many other hidden gems especially in Langer Houz and Tolichowki which can be explored. Maybe we will talk about them another day. Note: A special thanks to my friend Taher Syed for guiding me to these hidden gems.